In this article three pharmacy students reflect on “what antimicrobial stewardship means to me” and discuss the important role pharmacists play in antimicrobial stewardship activities. Infectious disease (ID) is one of the most important subjects in pharmacy school curricula, yet it is frequently one of the most daunting to navigate and most challenging to master. The combination of confusing Latin nomenclature for the microorganisms, nuanced indications for the antimicrobials, and complex pathophysiology of infection types creates a seemingly unsurmountable obstacle for many of us. As a result, students spend much of their time reluctantly engaging in brute memorization and in the process can become “turned off” by the subject as a whole. This obstacle is a tragedy in that many students ultimately (at least in the short-term) end up losing sight of the big picture, including the wonderful opportunities awaiting pharmacy students who pursue ID as a career path. Making matters worse, developing pharmacists who are uncomfortable with ID is the opposite of what the world needs today. With a looming global antimicrobial resistance crisis, we desperately need engaged healthcare professionals and drug developers to tackle todays problems. It is not all doom and gloom though, there is an upside. Economics 101 tells us that when there is a high demand and limited supply of a service, there is a juxtaposed reward for those who meet the demand. Currently, healthcare systems demand prudent utilization of existing antimicrobial agents and increased development of new ones. This demand is demonstrable by federal regulations and incentives intended to promote drug development and antimicrobial stewardship programs. What remains to be seen however, is whether prospective pharmacists are rising to the occasion. If we as a profession meet society’s demand we can expect to be rewarded through increasing our presence and importance within health systems. In addition we will be able to know we have helped defend humanity from the existential threat that antimicrobial resistance poses. As of January 1st, 2017 per Medication Management Standard 09.01.01, all nursing care centers and acute care hospitals accredited by The Joint Commission (TJC) are required to maintain antimicrobial stewardship programs. If accreditors find that these standards are not being met, hospitals could face consequences such as financial penalties. 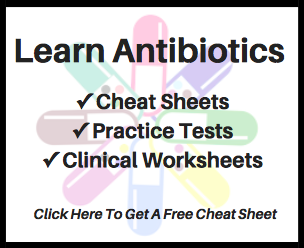 Adopted from the CDC, TJC suggests that antimicrobial stewardship programs have the following core elements: leadership commitment, accountability, action, tracking, reporting, education, and drug expertise. As part of these requirements, TJC indicates that a multidisciplinary team should include pharmacists, infection preventionists, practitioners, and an infectious disease physician. As a result of these guidelines, leadership roles within antimicrobial stewardship programs have opened up for pharmacists in every U.S. hospital that seeks to maintain good standing with TJC – and there are thousands of them. Though pharmacists already importantly contribute to multidisciplinary teams, the proposed role for pharmacists in stewardship is elevated further. This is dually due to expertise in medications and the fact that the leading contributor to the development of antimicrobial resistance is the overuse of antimicrobial agents. So when it comes to making the go or no-go decision when dispensing antimicrobials, who better to help make the call than a pharmacist? As the practice of antimicrobial stewardship grows with an increasing presence of pharmacists within leadership roles, the profession as a whole may be more valued and secure for years to come. Another less recognized career area that is becoming increasingly popular for graduating pharmacy students is within the pharmaceutical industry. This is another field in which the antimicrobial resistance crisis has spurred activity. For various reasons, antimicrobial agents are notoriously unprofitable which has historically caused pharmaceutical giants to divest from the field and focus more on vaccines, atypical infections, and antiviral agents. Recognizing this dilemma, the U.S. government authorized the Generating Antibiotic Incentives Now (GAIN) Act which provides antibacterial and antifungal drug developers with valuable incentives, such as extended marketing exclusivity. Furthermore, private-public partnerships such as Combating Antibiotic Resistant Bacteria (CARB-X) have deployed millions of dollars for preclinical biotechnology companies who pursue novel drug candidates for clinical development. We interpret more resources going into antimicrobial drug development to mean more pharmacists will be needed in this area to help provide drug information and participate in clinical research. One of the common sentiments expressed by pharmacy students and aspiring healthcare professionals in general is that they would like to impact public health. Some decide to pursue MPH degrees or volunteer with reputable public health programs, while others are content with contributing to public health by treating one patient at a time. For those of us who are in this boat, antimicrobial stewardship offers a unique win-win scenario. For example, when you manage a patient’s hypertension you treat one patient and one patient only. In contrast, one of the fascinating, yet terrifying, aspects of infectious disease is that treating one patient has compounding effects on the population as a whole. Specifically, when you prevent antimicrobial resistance from developing in one patient, you simultaneously have protected other people in contact with the patient from contracting a drug-resistant organism. As a profession, when we implement effective antimicrobial stewardship programs for millions of patients, we better protect the entire population from the risk of antimicrobial resistance. When it comes to your career and passions, pursuing opportunities in antimicrobial stewardship can allow you to have a larger impact on public health as part of your day-to-day workflow. The reason we stay up all night studying in pharmacy school isn’t just so we can pass the exam or make the Dean’s List. We are seeking the knowledge and skills necessary to look after our future patients properly. As student pharmacists, we recognize our calling to be stewards of all pharmacotherapy. We want to ensure that they are receiving safe and appropriate pharmacotherapy at all times. We recognize the dangers of inappropriate antimicrobial use in particular. We know that one in five emergency department visits for adverse drug reactions involve an antibiotic. We learned that each year in the United States, at least 2 million people are affected by antibiotic-resistant bacterial infections. Unfortunately, we are aware that inappropriate antimicrobial prescribing patterns are rampant in the current healthcare system. Our own family doctors have prescribed us antibiotics for cold and flu symptoms. During our hospital IPPE’s, we have encountered patients on vancomycin and piperacillin-tazobactam without any appropriate indications. At our internships, we fill and dispense too many antibiotics during our shift. We know that we will continue to see inappropriate antibiotic use, and we want to be prepared to handle those situations. We want to be well prepared so we can work with prescribers to stop this fearful increase in resistance. Hence, we are here training to become antibiotic defenders to impact public health. Pharmacy is a profession with relatively high job security. However, it is no secret that in order to maintain our value in the 21stcentury, the profession has had to evolve. With the advancement of technology and the entrance of major players, such as Amazon, into the pharmacy space, pharmacy societies across the country have been innovating services and benefits we offer to our patients. Prominent examples of this are the movement for comprehensive Medication Therapy Management, immunization authorization, and lobbying for provider status. Antimicrobial resistance will always exist and is currently a problem that is only getting worse. Thus, antimicrobial stewardship is another opportunity for pharmacists to secure and elevate our profession by providing a much-needed service throughout healthcare systems. This opportunity must be highlighted in pharmacy schools so that it may be realized by prospective pharmacists. It is our fear that the challenge of learning infectious disease in pharmacy school discourages students from pursuing these careers post-graduation. If we do not seize the opportunity, another healthcare profession less suited to do so will. Mohamed Kashkoush is a second year pharmacy student from the University of Pittsburgh who has previously completed a Bachelor of Engineering in Industrial Engineering at the University of Pittsburgh. His professional interests are in the fields of antimicrobial drug development, stewardship, and public policy. Diana Mansour is a third year pharmacy student from the University of Pittsburgh. She previously attained a bachelor of science in biology from Seton Hill University. Her practice interests include geriatrics and infectious disease. Jeong (Julia) Heo is a third year pharmacy student at the University of Pittsburgh and has also completed her pre-pharmacy coursework at Pitt. She is passionate about working for children and hopes to practice as a clinical pharmacist specializing in pediatrics with infectious disease, and/or cardiology.